A Catholic college in Kansas has decided to do away with its yoga classes, recasting them instead as “lifestyle fitness.” Administrators are concerned that offering yoga will give the mistaken impression that the Catholic Church is down with Hindu mysticism. It’s not! It swears!! In short, Naumann wants to cherry-pick the aspects of a millennia-old tradition that comport with his philosophies, then repackage them under a new, unequivocally secular name. This is not to say that pricey studios and retailers like Lululemon haven’t already done a thorough job of co-opting and monetizing what was once an essentially metaphysical practice. But for the college to willfully purge yoga of its inherent spiritualism misunderstands the core benefits of doing it in the first place. That line was quoted in a 2012 article that appeared on the website Catholic Answers, titled “The Problem With Yoga.” The piece itself takes issue with the notion that a pose is intrinsically problematic, pointing out that kneeling is a gesture associated with Christianity, but used in plenty of secular activities. Nevertheless, the author does ultimately conclude that “yoga is incompatible with Christian spirituality.” But! But if you can separate the spiritual/meditational aspects of yoga from the body postures and breathing techniques common to yoga, then you might be able to use those postures and techniques beneficially for health. 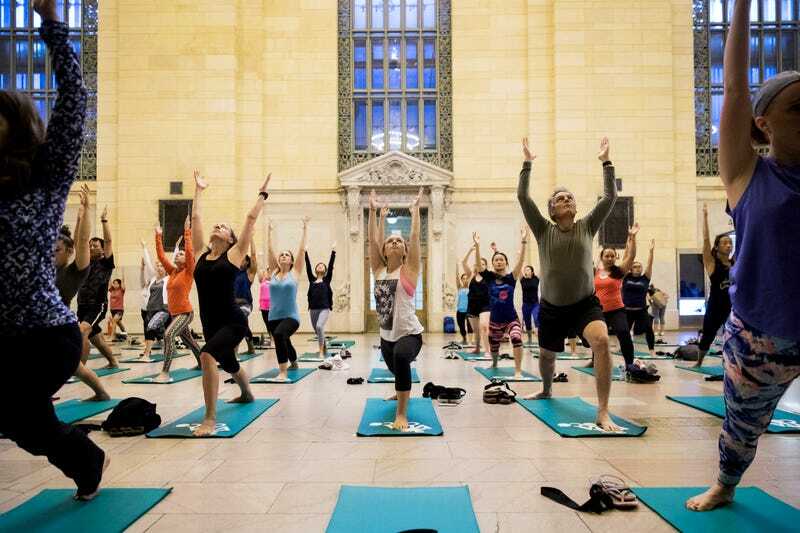 “Many people do not realize that yoga … is intended to be more than a series of exercises coupled with deliberative breathing and meditation,” Riley said in an emailed statement. “It is a mind and body practice developed under Hinduism, the goal of which is spiritual purification that will lead to a higher level of understanding and eventually union with the divine. Benedictine students have started a petition protesting the cancellation of yoga, which has garnered around 170 signatures as of this writing. The school’s current yoga teacher, Julie Romano, said she’s unsure whether she’ll continue teaching in the event that the rebranding effort goes through.